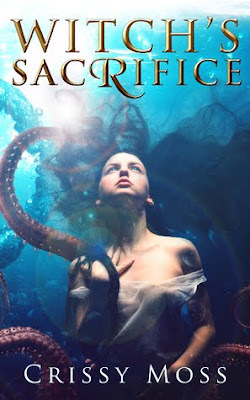 In this waterlogged world, magic performed by witches is dangerous and has to be eradicated by sacrifice to the kraken. Anyone a little bit different is often labeled a witch and taken by acolytes to be sacrificed. Marizza thought she was an ordinary girl until anger at being harassed revealed magical power she didn't know she had. The Little Mother rescued her and taught her how to use her gift while keeping her safe, but she falls in love with a merman despite the dangers. The worldbuilding in Witch's Sacrifice is lovely. There's a complex society for the characters to live in, a real sense of danger when magic is revealed, and tension involving the Little Mother's rescues. The studies that Marizza does are glossed over, at some points and vividly described at others. The relationship does develop over time, but the passage of time isn't well delineated. As a result, it feels very rushed and superficial. The fact that each person has separate needs and can still love each other is a great sentiment to add to a YA novel. That it also results in disaster because of lack of communication is almost a given because of the genre. Overall, it feels very short and formulaic. As the first book in a trilogy, the plot threads left hanging at the end will likely be addressed then. OD'ing on Gabaldon: "The Scottish Prisoner"